Jada Pinkett Smith is an American actress, songwriter, dancer, producer, and entrepreneur. But beyond her acting career which boasts of various successful and highly acclaimed movies, Jada is also popularly known as the wife of famous actor and comedian Will Smith. Although her acting profile isn’t as big as her husband’s, Jada is quite an accomplished woman in her own right and has established a name for herself in the entertainment industry. The beautiful actress was born Jada Koren Pinkett on September 18, 1971, in Baltimore, Maryland. Pinkett Smith attended the Baltimore School of the Arts and majored in dance and theatre. She later studied at the North Carolina School of the Arts and thereafter moved to Los Angeles in order to pursue a career in the show business. Jada Pinkett Smith began her acting career in 1990 with a role in the comedy series True Colors and has remained active in the industry for over two decades. She landed her first film role in 1993 in Menace II Society. Some of her other notable works include the 1996 sci-fi The Nutty Professor which gained her widespread recognition, Spike Lee’s Bamboozled (2000), The Matrix Reloaded (2003) and its sequel The Matrix Revolution. Jada was the voice of Gloria the hippopotamus in the popular 2005 animated comedy film Madagascar and its sequels Madagascar: Escape 2 Africa (2008) and Madagascar III: Europe’s Most Wanted (2012). Between 2009 to 2011 she took on the lead role in the medical TV series Hawthorne. She got nominations for the NAACP Image Award and the Prism Award following her performance in the TV show. Her more recent movies include Magic Mike XXL (2015), Bad Moms (2016), and Girls Trip (2017). Jada showed more of her creative skills in 2008 with her directional debut in the independent film The Human Contract. She is also a musician who sings and writes songs for the metal band Wicked Wisdom which she co-founded. More so, Jada is also a successful music video director, a writer and a businesswoman with a line of clothing called Maja. Jada Pinkett is the daughter of Adrienne Banfield-Jones and Robsoll Pinkett Jr. Her father Robsoll was a construction company worker while her mother Adrienne was the head nurse of an inner-city clinic in Baltimore. Jada’s mom got pregnant with her when she was just 16 and still in high school. After her parents divorced when she was very young, Jada was raised by her mother and maternal grandmother Marion Martin Banfielda. She has a brother Caleeb Pinkett, who is also an actor. During her childhood years, Jada’s mum battled a drug addiction and it was her grandmother who looked after her and first noticed her granddaughter’s interest in the performing arts. Nonetheless, Jada grew up to become quite close to her mother and considers her one of her closest confidantes. Pinkett Smith shared a ‘precious’ and platonic relationship with the late American rapper Tupac Shakur. Jada and Pinkett met as teenagers while at Baltimore School for the Arts in Maryland and quickly became close friends. The beautiful actress who describes her relationship with the fallen rapper as ‘volatile’ says the bond never turned romantic for either of the parties. According to her, the late Tupac even played the father figure role in her life. However, towards the end of Tupac’s life, their friendship took a turn for the worst. 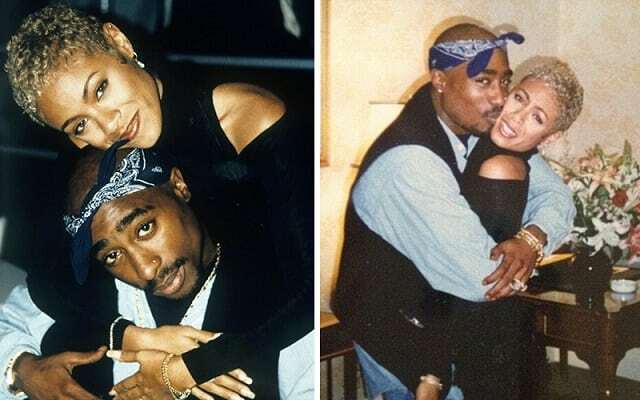 While the fallen rapper believed that Jada had gone to Hollywood and become soft, Jada, on the other hand, felt Tupac’s life was headed in a destructive direction. Unfortunately, the high school friends were not in contact before Tupac’s tragic death in Las Vegas on Sept. 13, 1996. Many years later, Pinkett Smith and Tupac’s relationship was portrayed in the movie All Eyez On Me. After the movie was released in 2017, Jada publicly made it clear that she was upset with the way the biopic which looks at the Tupac Shakur’s life, death and legacy depicted her relationship with the late rapper. According to her, some events in the movie misrepresented their relationship which was ‘deeply hurtful’. Jada Pinkett Smith is married to famous actor Will Smith. The couple who met in 1994 on the set of the TV show The Fresh Prince of Bel-Air has been married since 1997. They have two children together, a son Jaden born in 1998, and a daughter Willow born in 2000. 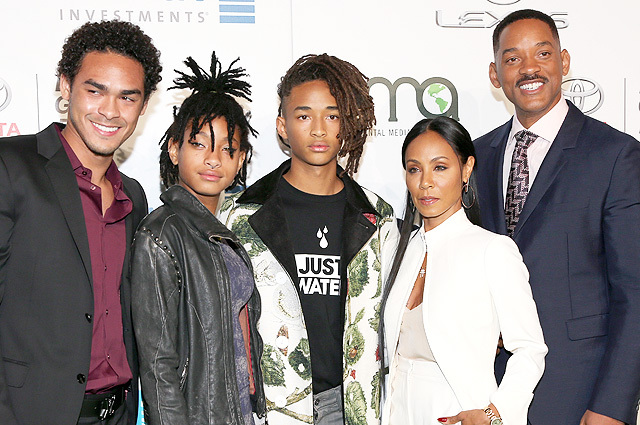 They are also parents to Trey, who is Will Smith’s son from his previous marriage to Sheree Zampino. Jada and Will Smith who have been married for over twenty years are one of Hollywood’s high profile couple and seem to be going stronger by the years. Through various careers in different ventures such as TV, film, music, writing, and fashion, Jada Pinkett Smith has amassed a net worth of $20 million. She spends part of her wealth on philanthropy. Jada and Will Smith are both dedicated to helping their society. The power couple established a charity the Will and Jada Smith Family Foundation which helps youth and family support.